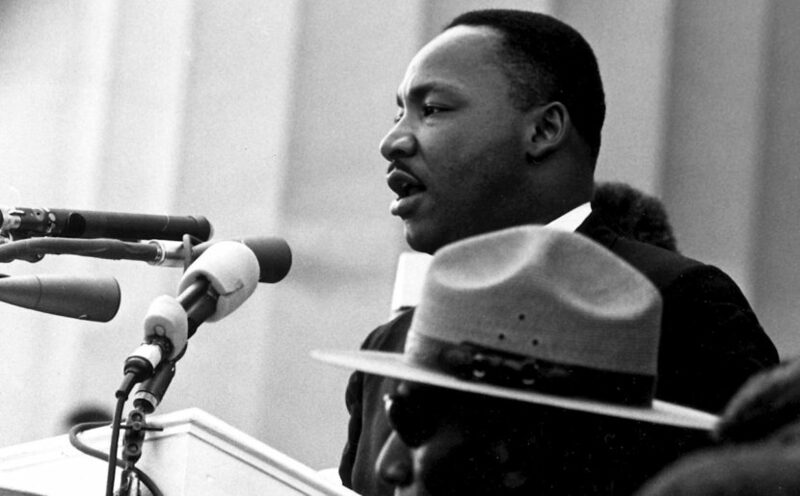 On Monday, Jan. 21, MLK Day, we honor the life of Rev. Dr. Martin Luther King Jr. and all the Civil Rights activists who fought for equality and justice. However, if you believe the struggle for civil and human rights is over, you’re providing a disservice to the memory of Dr. King and these brave leaders. This idea ignores the work activists do every day. Recently, Author Ijeoma Oluo presented a speech that highlights important statistics which remind us the struggle for civil rights is far from over. Reflecting on MLK day and building on Ijeoma Oluo’s example, it seems appropriate to focus on some of the activists who are continuing to live out the radical nature of the Civil Rights movement today. Mari, or Little Miss Flint, is an 11-year-old activist from Flint, Mich., who garnered attention in 2014 by writing a letter to then President Barack Obama inviting him to visit her city. In the spring of 2018, after Michigan pulled funding for water distribution (despite some homes still accessing unsafe water), Mari collaborated with the nonprofit Pack Your Back to provide Flint residents clean drinking water. Together, Mari and Pack Your Back raised more than $71,000 to provide 700,000 bottles of water to Flint residents. Mari continues to give back to her community through fundraising as well as offering community events. Her “Don’t Forget Flint” shirt campaign helps raise money to support Flint kids and spreads awareness about the ongoing water crisis. You can follow Mari on Twitter @LittleMissFlint to keep up to date with her latest projects. #MeToo exploded on Twitter. Survivors of sexual violence shared their stories illustrating how widespread the problem is. However, Me Too began long before hashtags with Tarana Burke. For 25 years, Tarana has served as an activist and advocate for black and brown girls in her community who are sexual assault survivors. This article from the New York Times gives context on how the movement began with Tarana but strayed from her vision of supporting survivors of sexual assault. She now has rightful credit on the Me Too movement’s website, which reflects the vision that she has had since the beginning. It is crucial to understand the movement that began with Tarana’s vision of healing and advocacy with a primary focus on survivors. When #MeToo erupted on Twitter, most of the attention became focused on the prevalence of sexual abuse in Hollywood and left Tarana (and all the work she accomplished in her community) out of the conversation. To hear Tarana Burke give her thoughts on the Me Too movement, watch her TED Talk below. Please note, this video references stories of abuse and may be distressing to some viewers. To learn more about Me Too, visit www.MeTooMvmnt.com. #BlackLivesMatter was born out of an overwhelming sense of agony and pain when George Zimmerman was acquitted of 17-year-old Trayvon Martin’s murder. Alicia Garza’s response was to write on social media that in the face of such pain and betrayal, black lives matter—so the movement was born. Patrisse Khan-Cullors took Alicia Garza’s words and transformed them into a rallying cry on social media and with the help of Opal Tometi’s communication skills, the organization’s platform spread. The Black Lives Matter movement has often been demonized and mischaracterized since its inception in 2013. However, these gross mischaracterizations do not reflect what the intention of the Black Lives Matter truly is. To learn more about the Co-Founders of Black Lives Matter, visit blacklivesmatter.com/about/our-co-founders/. 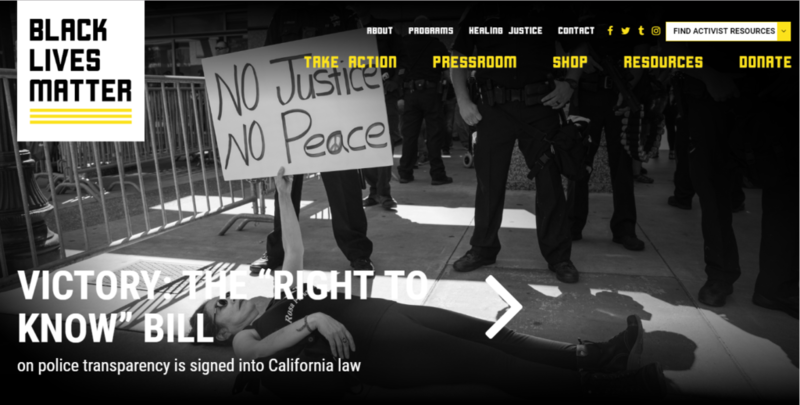 To learn more about the guiding principles of the movement, visit blacklivesmatter.com/about/what-we-believe/. It is important to remind ourselves of the radicalness of the Civil Rights activists celebrated every year on Jan. 21. Their views and positions on basic human rights, which were constantly being denied to black people, were and are seen as threats to the fabric of American society. Who are the marginalized people for whom today’s activists are struggling for dignity? If I’m not hearing their voices, what does that say about my own agenda? What steps do I need to take to hear what they are saying about our shared humanity? What do they need from me, if anything? Am I living a life that allows their work to be easier or harder? Excellent and informative! I recommend the movie, “The Green Book” to raise our consciousness of unjust discrimination against black people.